If your WiFi at home is really slow all of a sudden, then there’s a problem somewhere that you can most likely fix yourself. Here’s how to fix slow WiFi.We discussed earlier how you can deal with a slow WiFi connection that you can’t exactly fix, but what if your internet at home is experiencing performance problems? You can usually fix that since you have access to the router. 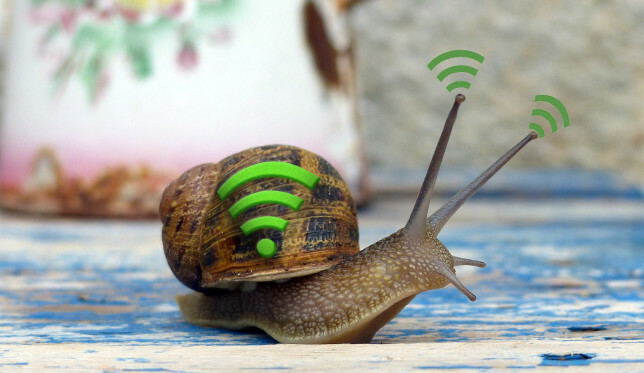 There are many reasons why your internet connection might be slow. Perhaps another user in the house is streaming Netflix or your router is clogged up a bit and just needs a simple reboot. There’s even the chance that your internet service provider could be experiencing problems of their own, in which case you’re pretty much out of luck. No matter the cause, slow WiFi can be more frustrating than not having WiFi at all. With slow WiFi, loading websites can take forever, YouTube videos will lag and freeze, and forget about streaming any media. Slow WiFi is something that you never want to come across, especially if you’re working on something important or timely. One of the best things about Wi-Fi is the easy access it provides to the internet. But, if your network password is too simple, there could be more people tapping into it than you originally bargained for.Obviously, this isn’t something you want. Networks with weak passwords or no passwords can be accessed by almost anyone. Use a free program called Wi-Fi History View to review each device that has connected to your network, and look for IP addresses you don’t recognize. Prevent this by first changing the password for your router. If you don’t know where to find it, a site called RouterPasswords can help you locate the manufacturer’s default password. From there, create a password that is complex and difficult to guess. Click here to see a simple formula for creating secure passwords you can actually remember. This is a problem in crowded neighborhoods or apartments. When too many people try to connect at the same time on the same Wi-Fi channel, connection speed is significantly impacted. When your connection slows during peak hours, usually in the evening when everyone gets off work or on Sunday night when The Walking Dead is airing, that’s a sure sign of congestion. Fix this by selecting a different channel for your router. If you have a 2.4 gigahertz frequency router, there are usually 11 channels to choose from. Channels 1, 6 and 11 are recommended but try other channels to find a faster connection. Or buy a new 5 gigahertz router. Wi-Fi routers are not all created equal. “AC” routers are a step up from the older “B” and “G” models and even "N" models. They have more features and offer better performance. If you’re shopping for a new router, that’s what you want to look for. AC routers have a maximum spectral bandwidth of around 8 x 160MHz, compared to the 4 x 40MHz standard of N routers. In other words, the increased bandwidth allows more data to be transmitted without slowing down. If your network is Open (no security) or is using WEP, change the security setting immediately! 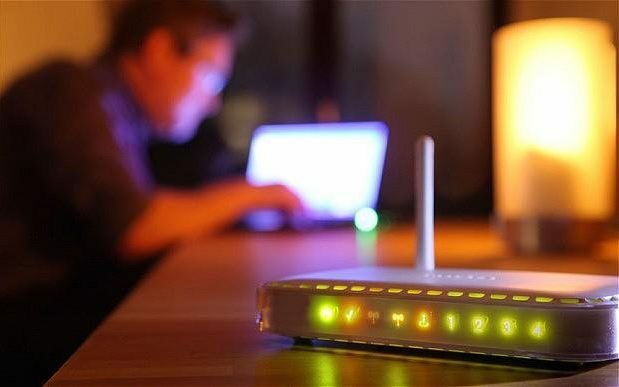 Obviously, an open network will make it easy for someone to steal your Wi-Fi, and the older WEP security is easily hacked, so avoid it at all costs. WPA and TKIP are what you want to avoid. Not only are these protocols older and insecure, they can actually slow down your network. The best option is WPA2 with AES. AES is a newer and more secure setting that lets you achieve higher speeds. Click here for additional tweaks you can make to get more out of your router. Sometimes the easiest fixes are right there under our noses. Routers are not designed to transmit signals over long distances, so there may be hot spots and dead zones in your home. To map out your network, use a tool called HeatMapper. It helps you see where Wi-Fi signals are strongest in your home or office. HeatMapper is a free download for Windows users. NetSpot is a good alternative for Mac users. Once you’ve identified the problem areas in your home, you have a few options available. One option is to purchase a Wi-Fi extender that can boost the range of your router’s transmission. Wi-Fi extenders range in price from around $20-$120, depending on the features included in the model. However, a mid-range extender should work just fine. Click here for a full breakdown of Wi-Fi extender options.